Expanding on the success of their first restaurant in Hyde Park, Antica Pizzeria E Cucina have opened a more modern and larger version in the city. Owner, Anthony Crea, has travelled through Italy to perfect his recipes and give customers an authentic Mediterranean experience. Much of what you’ll find on the menu at the Hyde Park restaurant can be found here. 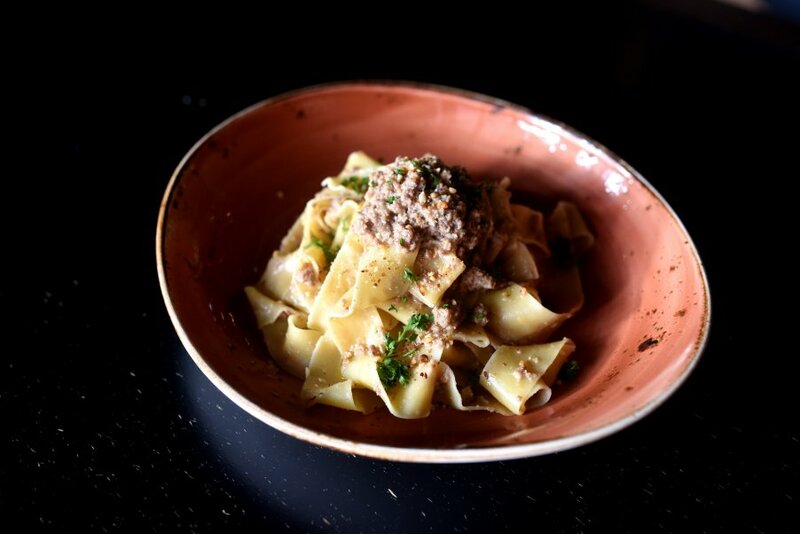 The pasta dish was the Pappardelle All Anatra, a slow cooked duck ragu with ribbons of freshly made pappardelle and roasted hazelnuts. The duck is soft and delicate, and has been cooked down to a mince. The rich and strong flavours from the meat are still there, and is a must for duck lovers. The pasta was firm and perfectly cooked, and the hazelnuts added a nice crunchy texture. And on to the pizza – in our case the Napoli. Now everybody likes their pizza different. Some like a thick crust, some like extra thin, and some like loads of toppings. At Antica Pizzeria, you’ll get it just like they get it back in Naples; a thick crust, thin in the centre, and a soft, chewy base. The pizza is cooked in a wood grill and has a lovely smokey flavour. 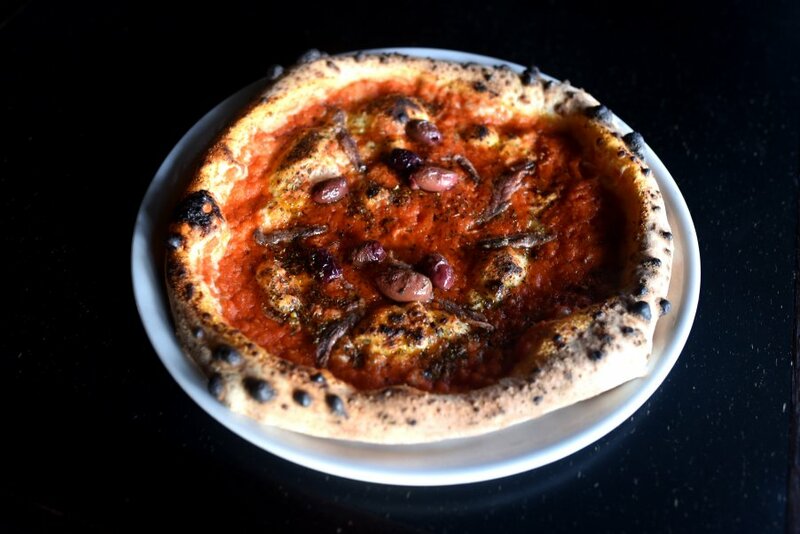 The base is covered in a sweet san marzano tomato sauce which is complemented by the saltiness of the olives and anchovies. If you love pizza and dessert, why not combine the two with a dessert pizza? 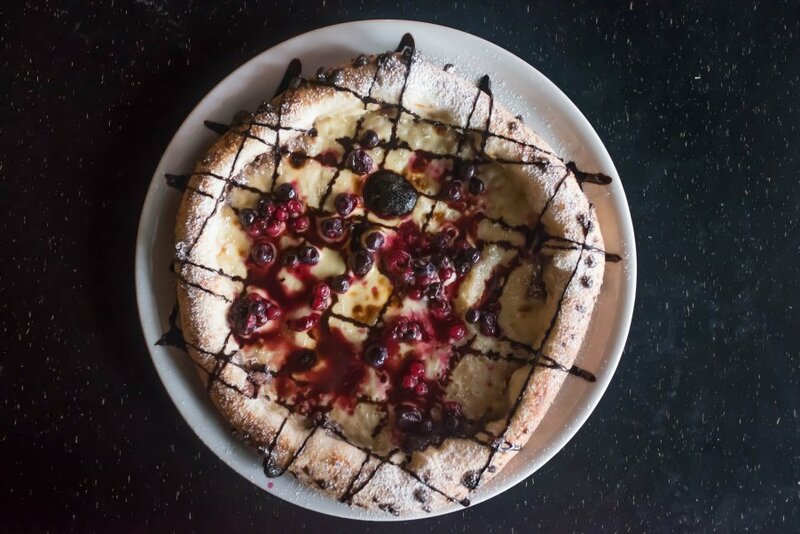 The La Dolce Pizza combines their signature pizza bases with custard, berries, chocolate and icing sugar. The custard was thick and creamy, and not overly sweet. It was well complemented by all the other sweet elements on the pizza. It is a dessert after all. The food at Antica Pizzeria is so simple and well executed. The servings are generous and the chances are good that you’ll leave the restaurant feeling very satisfied. The average price of a pasta dish is around $26, while a pizza is around $23. If you come here with a group of friends, why not try the novel one metre pizza. There is a choice of three toppings and you’ll get everyone’s attention when you order one. For an authentic Italian experience, Antica Pizzeria is the place to go.